A historian who believes more than 40 Canadian soldiers were left in a makeshift grave during the battle of Vimy Ridge is hoping to help raise $110,000 to give them a proper burial, and he's getting some help in Alberta. 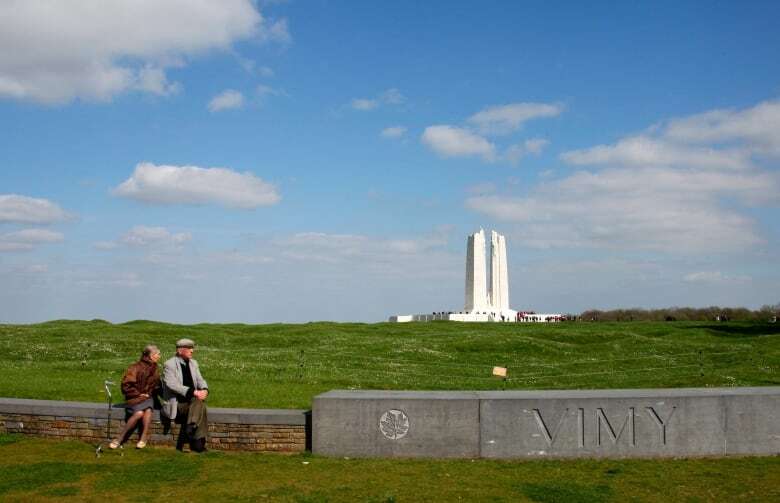 Efforts are under way to give proper burials to 44 Canadian soldiers, including 10 from southern Alberta, who historians believe are lying in a makeshift mass grave in northern France after fighting at Vimy Ridge. "To leave them in some farmer's potato field just seems appalling to me," said military historian Norm Christie, who uncovered evidence of the grave during his First World War research. Christie says the soldiers were hastily buried in a crater in the heat of battle. He said he has found no evidence they were relocated from the grave site, which is known as CA-40. "It was supposed to be moved to another cemetery except that, when we checked on the original documents, none of the bodies were brought in," said Christie. "So that means it was overlooked when the exhumation companies started to clear the battlefields to finally make these permanent cemeteries." Christie launched a fundraising campaign called Help Recover Our Vimy Heroes in June to raise $110,000 to locate the soldiers' remains and build a new cemetery. Ten of the soldiers were in the 113th Battalion Lethbridge Highlanders. Brett Clifton is a Lethbridge school teacher who has written several books about local military history. "Some of them were working in the coal mines. Some were farmers," said Clifton. "It's the total southern Alberta experience contained in one mass grave in France." Clifton has joined Christie's efforts to help recover the soldiers from the makeshift grave. "We do glorify the victory itself, but we don't always talk about the men who were involved and this is the opportunity to really focus on the individuals and learn about them and their families," Clifton said. 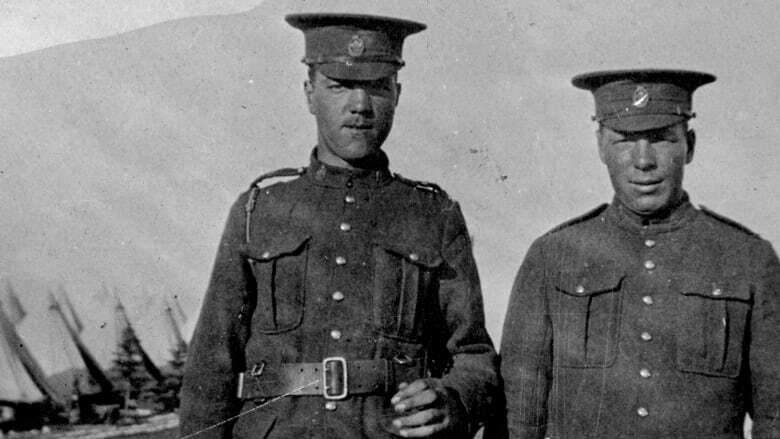 One of the stories connected to the grave involves Clarence and Earl Betts, brothers who enlisted in Lethbridge in the fall of 1916. Jim Betts, 78, isn't sure what led his father, Clarence, to sign up but it may have had something to do with the fact that his younger brother, Earl, had enlisted a week earlier at age 26. 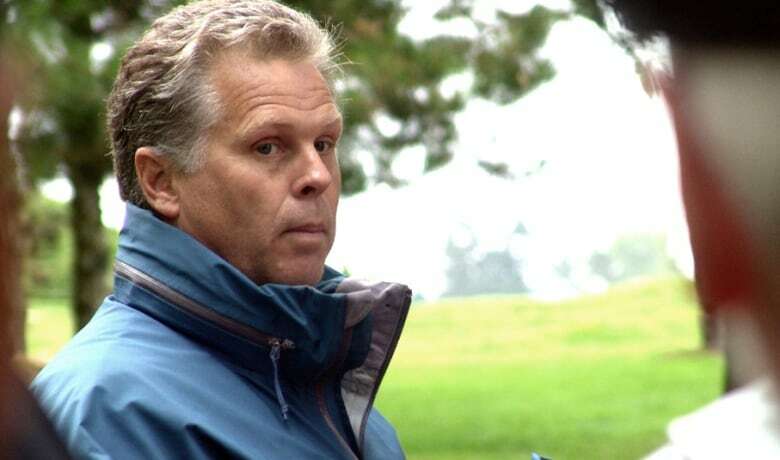 "If one was in trouble the other was right beside him," Betts said. The Betts brothers were homesteaders in the Coutts area, where Jim still has a farm. "And I think it was so tough that they were short of money," he said. The two men fought together in the battle of Vimy Ridge in 1917, a defining military victory for Canada that came at price. "Dad never did talk too much about the war," said Betts. "I know him and Earl were together when Earl got shot, and he said they buried Earl right there. It was just one of them things that just happened." Earl's body was never recovered, but his identification tag was. Today the aluminum disc, warped by shrapnel or a bullet, sits in a Galt Museum storage vault. It was donated by the Betts family. "In the collections world sometimes we talk about objects that are loaded. You know, that once their context becomes known then their meaning has a great level of power," said museum collections technician Kevin Maclean holding the dog tag with gloved hands. "And there's no question that amongst our almost a thousand piece military collection at the Galt that that would be one of the most powerful objects in our possession. I just think given the sacrifice that these people made on our behalf, that we owe it to them to give them some proper memorial and recognition," he added. Jim Betts has donated $500 to the effort to find the lost soldiers. "I would just like to see him being looked after, that's all," he said. Christie says so far more than $20,000 has been raised. He hopes to recover the bodies in time for the 100th anniversary of the Vimy Ridge battle in 2017. He says Canada's department of national defence has a casualty identification program, but only gets involved once remains have been reported and identified.